Our Silver Grey Granite Chippings are one of our classic offerings. 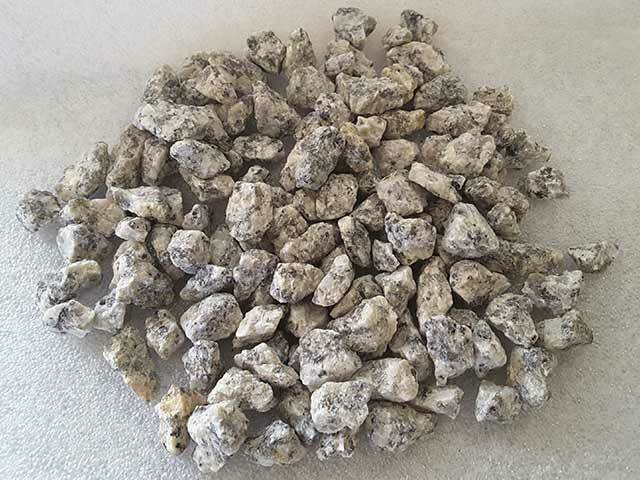 They are a beautiful light grey chipping with a black fleck running through it. Some of the chippings can have a small tinge of a pink/red colour through them, which is natural to the stone. The chippings are irregular and angular in shape. 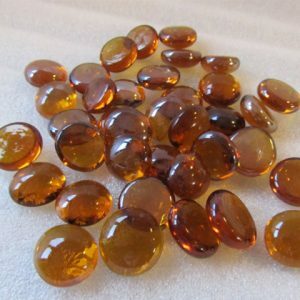 They are available in 3 sizes, 10mm, 14mm and 20mm. 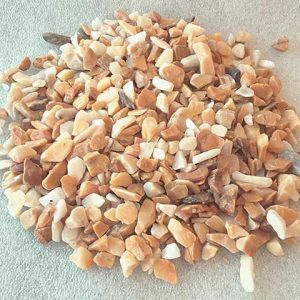 One of our most versatile stone chippings which can be applied to a vast range of garden and home projects such as Terrazzo Flooring, landscaping projects, decorative precast applications and memorial grave decoration. A recommended choice for Terrazzo flooring where the silver-grey granite chippings are scattered into the setting concrete and then polished down to show the exposed aggregate in a fully polished appearance. 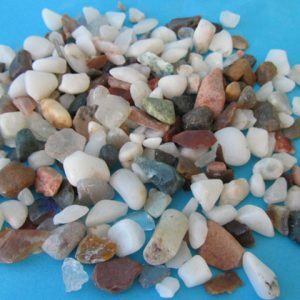 A large number of customer use them in resin bonded aggregate applications, this is where the aggregate and the resin are mixed in the mixer and then poured onto the prepared surface and left to set. Silver Grey Granite Chippings can also be used in Decorative precast applications, the grey granite dust and chippings are mixed in with the concrete to produce a precast finish, which is coloured by the sand and has flecks of the silver-grey granite within the precast. The Silver Grey is most often used to dress memorial graves. It is a very neutral chipping that blends well with all granite headstones and surrounds. 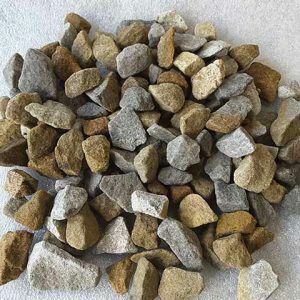 Grey granite chippings can also be used in concrete applications, the grey granite chippings (mainly 20mm size), are added to the setting concrete. 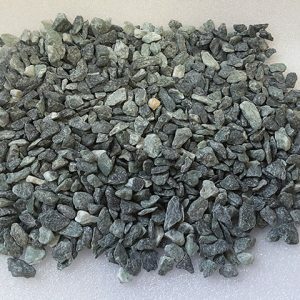 This provides a beautiful rustic finish for any driveway application, the granite is strong enough to bear vehicle load. This type of finish provides a cheaper alternative to grey granite cobble lock. For more information on terrazzo stone floors, visit Terrazzo Stone. Our Silver Grey Granite chippings are available in 25kg bags, tonne sacks and can also be delivered by bulk load, up to 28 tonnes, please use the online calculator to estimate the quantity you may require.